NCERT Solutions for Class 1 English Chapter 3 After a Bath are part of NCERT Solutions for Class 1 English. Here we have given NCERT Solutions for Class 1 English Chapter 3 After a Bath. In this poem, the child is telling that what does he do after taking a bath. He tells he wipes himself till he becomes completely dried. He also wipes his hands, fingers, toes, legs and nose. He thinks that if he were a dog, he could just shake and would soon get dried. I try to save water. Do you like to have a bath? Say why. क्या तुम स्नान करना पसंद करते हो? बताओ क्यों? Yes, I like to have a bath to stay clean and healthy. क्या तुम खुद स्नान कर सकते हो? Yes, I can bathe myself. How do you dry yourself? तुम अपने को कैसे सुखाते हो? I dry myself with the help of a towel. Have you seen an animal drying itself? क्या तुमने किसी जानवर को स्वयं को सुखाते हुए देखा है? No, I have never seen an animal drying itself. around what you do after a bath. Throw the wet towel on the floor. Hang the wet towel to dry. Do you wear these things? क्या तुम इन चीजों की पहनते हो? 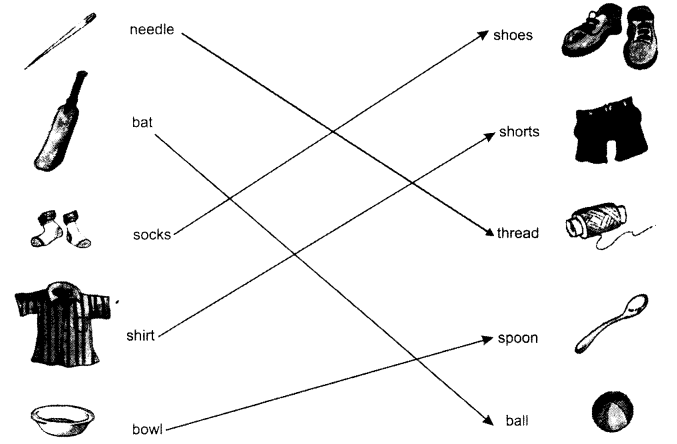 Draw lines from the pictures to the words. Draw or stick a picture of yourself and your friend here. Then complete the sentences and say them aloud. 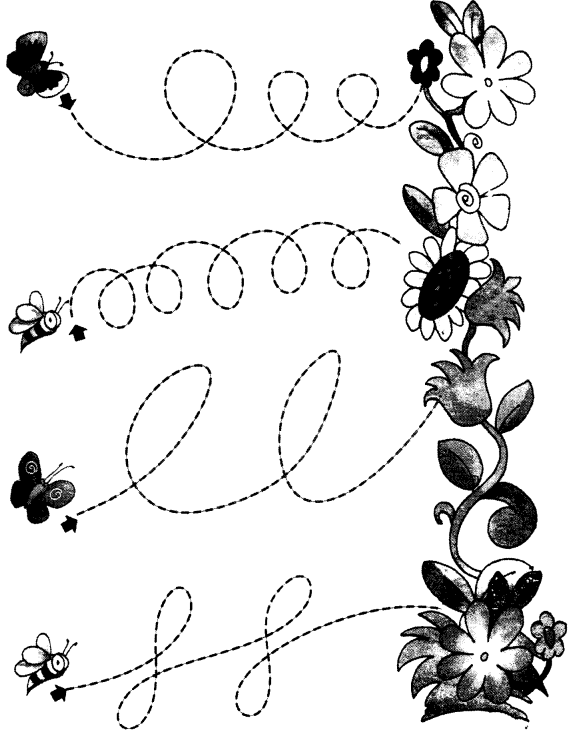 Trace the path to the flowers. 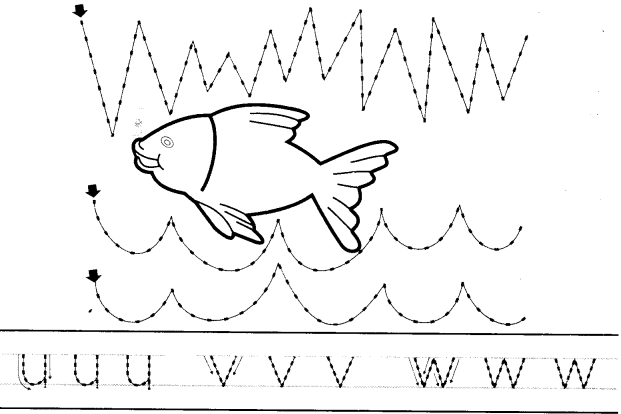 Trace over the waves and colour the fish. We hope the NCERT Solutions for Class 1 English Chapter 3 After a Bath, will help you. If you have any query regarding NCERT Solutions for Class 1 English Chapter 3 After a Bath, drop a comment below and we will get back to you at the earliest.